The future of Indian CV industry Looks interesting. In a growing market, the future of any product, market or service is always bright. That is until disruption does not upset the status quo. As the fastest growing large economy in the world, India offers immense growth opportunities. With the country continuing to execute deep structural reforms including the introduction of Goods and Services Tax (GST) in the recent past, the general consensus indicates that the country will continue to grow at high single-digit numbers over the next 15 to 20 years. Additional reforms are expected to accelerate the growth into double digits. At current growth levels India is likely to grow to be a USD-five trillion economy by 2025 and contribute around five-per cent of the global GDP. In the background of reverse globalisation trends, India with a predominately domestic consumption-driven economy and labour arbitrage is expected to support manufacturing for both the markets – domestic and exports. 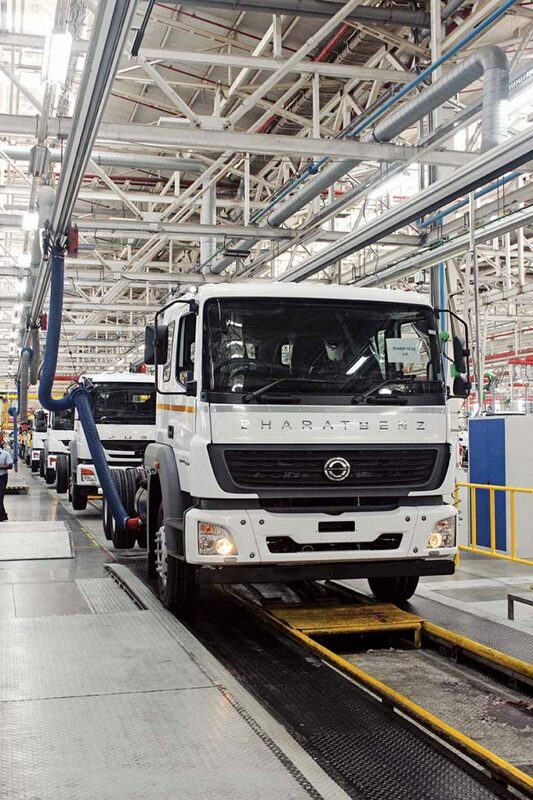 To play the role of an engine for global manufacturing, India, with an economy on the upswing, will provide good growth opportunity for the commercial vehicle industry considering the key indicators. With opportunities will come challenges. The key question would be the scale of benefit the growing economy will present to the CV industry. It is also necessary to look at the impact of varying forces like technology, market, regulations, competition and customer. It is they who would be largely instrumental in shaping the future of the industry. Witnessing sustained growth in the last three years, the CV market had a good run in the 2018 financial year. In FY2017-18, the CV industry clocked a growth of 20 per cent. The total industry volumes rose to the levels that were witnessed in FY2011-12. In the first five months of the current financial year, the CV market experienced sizzling growth of over 40 per cent as compared to last year. The market is certain to cross one-million units for the first time ever. The pent-up demand due to uncertainties regarding the implementation of GST is unwinding. It is leading to windfall sales gains for CV makers. With GST firmly in place, the manufacturing industry is now clear about the changes it would want to undertake in its supply chain. The reorganisation and consolidation of warehouses are happening in a big way. Supply chain reorganisation looks set to play out in the next one to two years. This is already influencing a change in the demand configuration of CVs. The demand for higher GVW CVs is rising. In anticipation of GST, transporters have been preparing for changes in the supply chains, and this is reflecting in the composition of sales; in the changing dynamics of segments above 26-tonnes in the M&HCV space. In segments above 26-tonnes, the tractor-trailer segment grew by 27 per cent in FY2017-18 as compared to the growth of nine-per cent in FY2013-14. The growth of tractor-trailer segment in FY2017-18 marked a three-fold increase in four years. 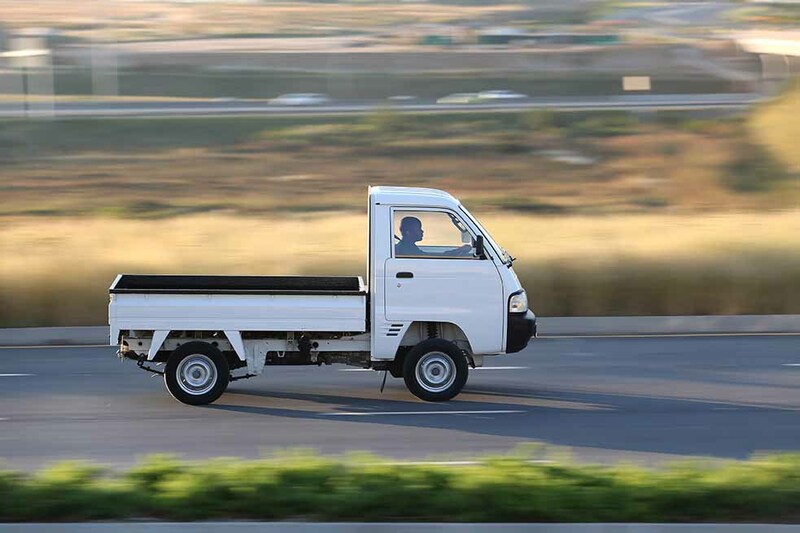 As consolidation of demand continues across major consumption centres, the trend of higher tonnage vehicles increasing in the share of business as far as LCVs and ICVs go is expected to accelerate. Trends are emerging that indicate the movement of markets towards higher and lower end tonnage in each segment. Such trends, and the growth that they are bringing should make CV OEMs happy. It translates into significant opportunities for them. However, there are challenges too. In the last few months, the CV industry has seen some CV OEMs exit the market. Homegrown truck maker AMW is said to have reported no sales. Foton and MAN are claimed to have exited the Indian CV space. MAN is said to have decided to focus on engineering and development in India rather than sell CVs. In the bus space Scania, is changing its business model by outsourcing bus body building. JBM is said to suffer from poor demand. The entry of Suzuki in SCV space and its success in achieving volumes clearly shows that customers are highly price sensitive. An exception is Daimler in trucks and Volvo in buses. 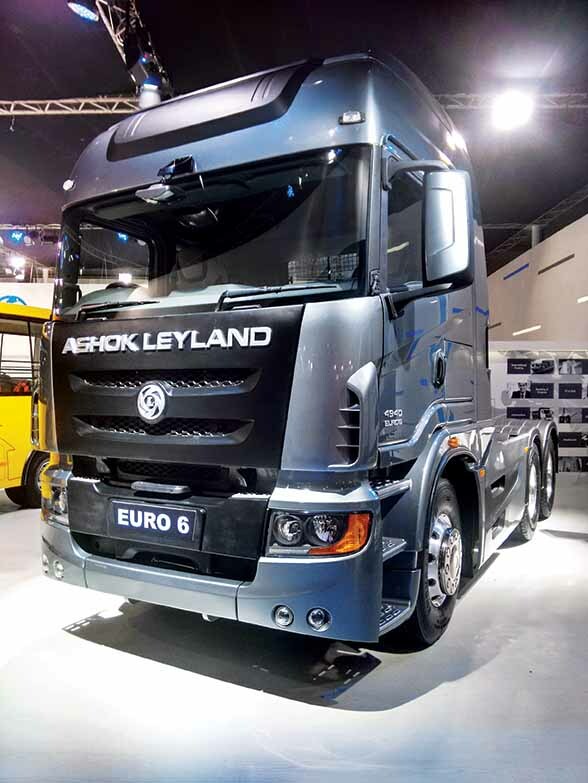 They are the only two global OEMs that have managed to find space in the Indian market in the face of well-entrenched and homegrown players like Tata, Mahindra and Ashok Leyland. Even though disruptive, technology seems to be the only way forward for CV OEMs as regulations make their effect felt. The regulatory actions from the government, as well as the judiciary, are influencing the strategies of CV makers. While it looks like regulations will have a profound short-term impact on the market, the risk associated with regulatory issues include policy changes and the rise in time to implement them. The industry is currently working towards fulfilling key regulatory actions that include and are not limited to the implementation of BSVI emission norms by 2020. 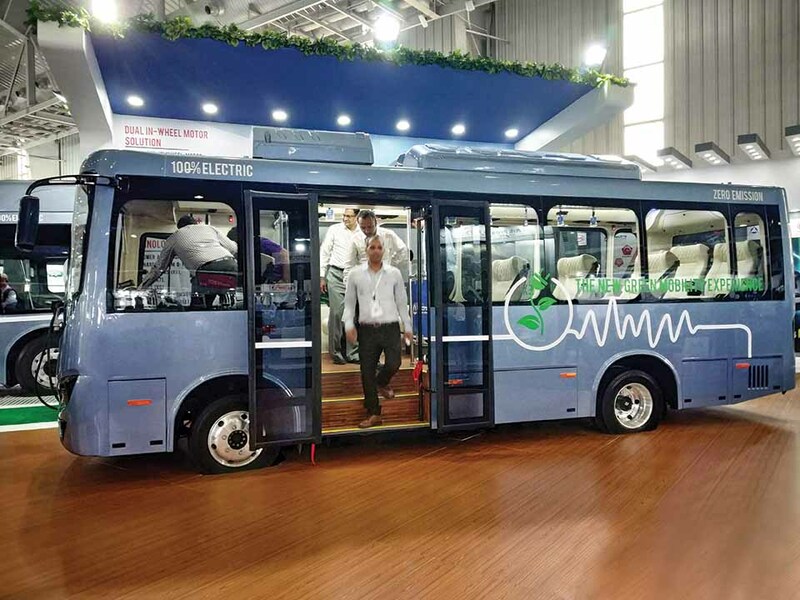 The push for electric vehicles in public transport (urban connectivity solutions especially), change in axle load norms, and scrappage of old CVs amount to a few other regulations. In an effort to meet BSVI emission norms, CV OEMs are upgrading engines, and intake and exhaust management of their CVs. A visible impact of this change will be in product prices. They are expected to go up significantly from the current BSIV compliant vehicles. Considering the upgrade costs, OEMs are also considering withdrawing certain products from the segments that exist. Some CV makers are likely to withdraw sub-one tonne SCVs as the cost of engine upgrade would be significant. CV OEMs are claimed to be increasingly looking at petrol engines or electric propulsions systems instead. These, they feel, will make better and viable options. Many models with overlapping positioning and platforms are also likely to be impacted due to emission norms change. OEMs will find it uncompetitive to upgrade a wide range of engine platforms. This will lead to product rationalisation with many variants or models being taken off the market. The impact will vary for different OEMs. What will likely be common is the portfolio churn in the market. BSVI emission norms will be a game changer for the industry. They will elevate Indian CVs to the level of those that are made in Europe and other advanced markets. The cost of this change is likely to impact the purchasing power of the consumers. It is also likely to impact demand creation. To take advantage of lower prices, pre-buying before the BSVI emission norms are implemented in 2020 is expected. The 2021 financial year could see a dip in demand as the market will have to absorb the additional capacity. De-growth in the industry could last for six to eight quarters, estimating the current assumptions on technology deployed and what they will cost. The axle load regulations will be yet another regulatory change that will deeply impact the industry. 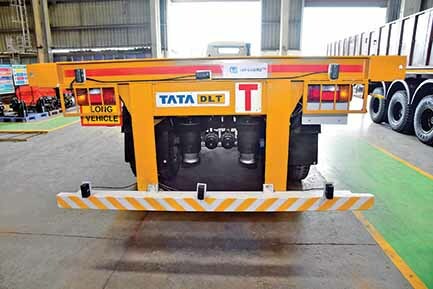 On-ground, this change is likely to convert the existing overloaded segments to rated load. 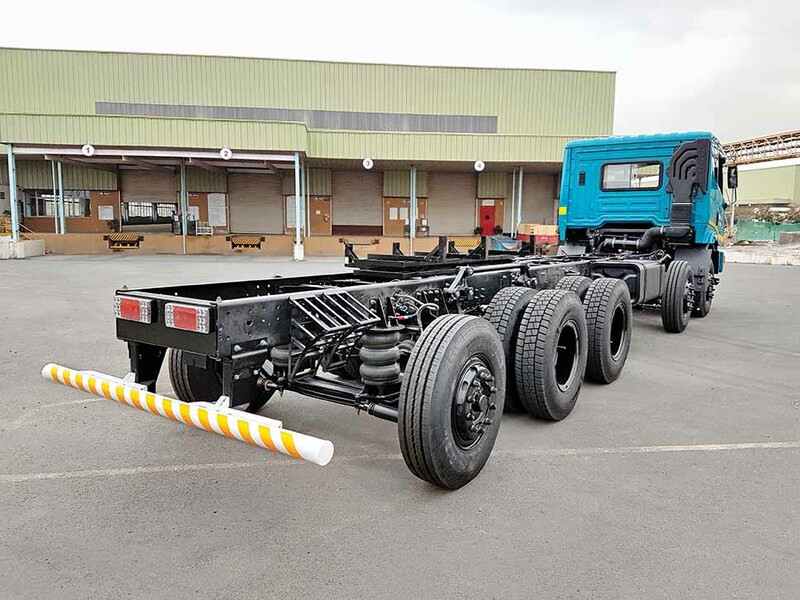 They will have the additional axle strength to carry the load requirements. A big change will be influenced by the scrappage policy. The industry has been requesting the government to quickly introduce this policy to remove highly polluting vehicles and vehicles that comply with the BSI, BSII and BSIII emission norms from the road. It will be important for the industry for this policy to be fully implemented closer to the shift to BSVI emission norms. Doing it will cushion the demand impact. The overall direction and thrust of regulations is to encourage the use of clean vehicles with low or zero emissions. This theme will play out for the next eight to ten years. It will prove to be the prime trend shaping the future of the industry. The phase-one of the Dedicated Freight rail Corridor (DFC) by Indian railways is likely to be operational by the end of 2018. The entire project is scheduled to completed by 2020. Two lines – the western and eastern corridors, are expected to accelerate the movement of goods from India’s hinterland to the ports of JNPT in the west and key markets for coal transportation in the east. With DFCs starting, dependence on road transport is likely to be impacted. Particularly in the western corridor, which services exim trade and competes for other cargo from the manufacturing hubs in NCR, Punjab and Haryana. While developments like these emerge, the road infrastructure in the country is witnessing improvement. It is facilitating faster movement of goods and people. If the impact of DFC on the trucking industry will be apparent when the project is fully comissioned, those CVs will be most impacted that are currently propelling CV industry growth, and are creating segmental shifts. CV OEMs will have to monitor the impact of DFC on truck volumes. They will also have to monitor rapid customer changes in context to the choice of rail over road. This will be of particular importance against the backdrop of high diesel prices. VG Ramakrishnan is the Managing Director of Avanteum Advisors LLP. The views expressed by the author are his personal opinions and do not necessarily reflect the view of the CV magazine.